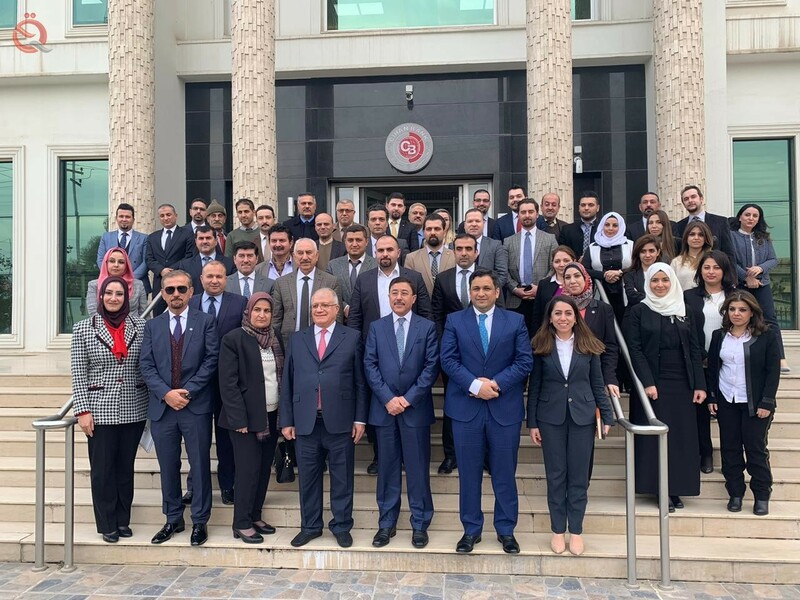 Visited the Governor of the Central Bank of Iraq, Ali Alalak, a number of private banks operating in the Kurdistan region to see the most prominent obstacles facing their workers. A source in the Association of Iraqi Private Banks, in an interview with "Economy News", said that "a delegation from the Central Bank headed by the Governor Ali Alalak and includes in his membership Director General of the Department of Control and Banking and Director of Public Relations," noting that "the delegation also included the President of the Association of Iraqi private banks Wadih al-Hanal ". He pointed out that "the delegation briefed during his visit to the banking activities provided by banks operating in the region." He added that "on the sidelines of the visit held a meeting with the heads of the boards of directors of banks and authorized managers to see the obstacles facing the work of banks to promote the reality of those banks."